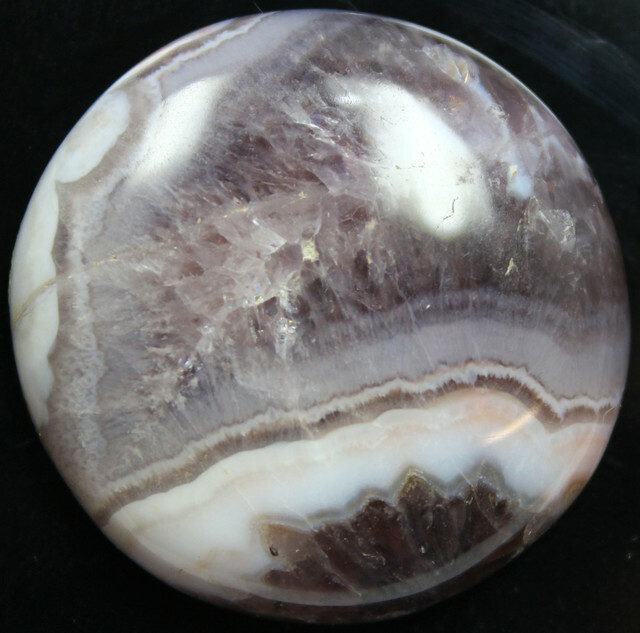 The Color Of Amethyst, has become a coined phrase. 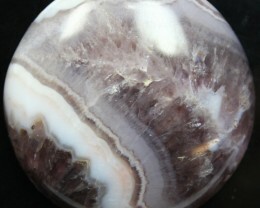 Many things are said to be of an Amethyst color. 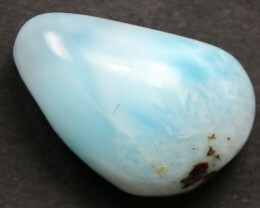 Even other, more expensive purple gemstones are often compared to its color and beauty. It must always be purple to be amethyst. 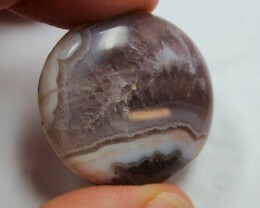 But it comes in a very wide range of purple shades. 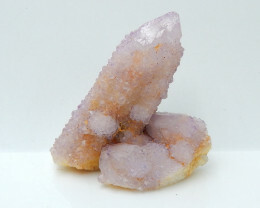 Amethyst comes in long six sided crystals or can form as druzies that are crystalline crusts that only show the pointed termination's. 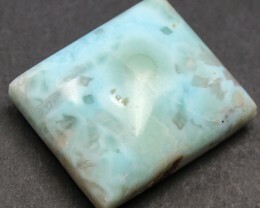 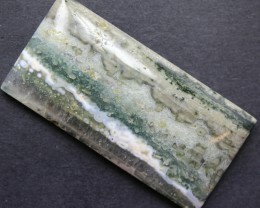 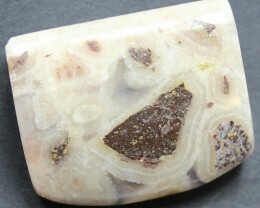 Its color and nice crystal shapes make it a popular mineral specimen. 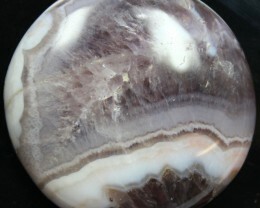 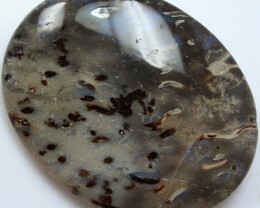 Amethyst Lace Agate cabochon cut, shaped, and polished. 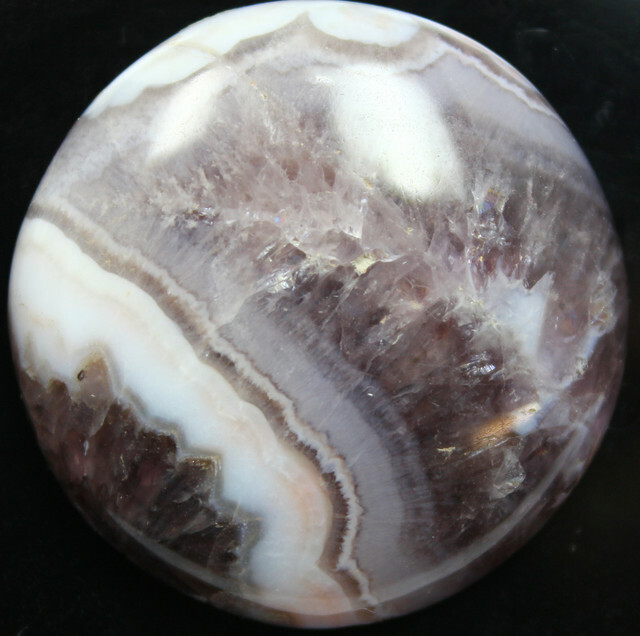 Amethyst Lace Agate is a banded chalcedony featuring white, pink or salmon-pink highlights and massive purple quartz, better known as amethyst. 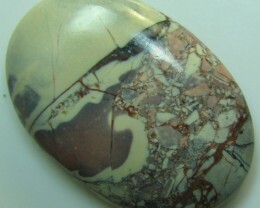 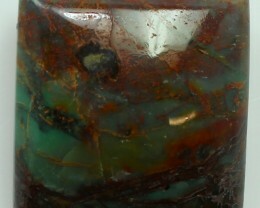 This material originates in Durango, Mexico.